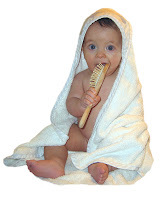 Espere Healthcare Blog: Could your baby’s bath lotion lead to a lifetime of eczema? Could your baby’s bath lotion lead to a lifetime of eczema? Did you know that 1 in 5 children suffer from eczema? If there’s a family history this creeps up to 1 in 4. If you and your partner both suffer, then your offspring stand a 50/50 chance of also suffering from eczema. So what can we as parents do to minimise this risk? Well, there’s some really interesting work that’s been done at Sheffield University that casts a different light on the problem of eczema in newborn children. This new study points out that while currently around 20 – 25% of newborn babies develop eczema, back in the 1940’s, only 1 in 25 babies suffered from this chronic skin condition. Our knowledge has certainly increased with regard to what’s best for our offspring. We take great care with their food, so they’ll grow fit and healthy; keep them spotlessly clean with all sorts of special soaps. We rub oils and lotions to keep their skin soft and clothe them in the most suitable garments so they stay warm and cosy. So what’s the reason for this six fold increase, in the last 70 years? Professor Michael Cork and his colleagues at Sheffield have identified a direct link between the growing number of newborn babies who develop eczema within the first 6 weeks of their lives and the use of soaps, olive oil, bath oils and even medically prescribed lotions such as aqueous cream on the skin of newborn babies. So what Prof Cork is claiming is that these modern products designed specially to care for babies may not actually be as good as we have been led to believe. It’s actually not surprising, because birth isn’t the end of their development. And that applies to their skin. It’s recognised that babies can’t control the loss of water from their skin cells until they are about one year old. In normal skin the outer layer, (the stratum corneum) provides a barrier that keeps the skin hydrated and prevents the penetration of irritants and allergens. But in some babies, exposure to soaps, detergents and even some lotions breaks down this skin barrier. This allows water to evaporate from the skin cells causing the skin to shrink and crack. It also allows external agents such as irritants and allergens to penetrate, which can then lead to an eczema flare. So we really should be very careful with babies and what we put on their skin. If Prof Cork is right, then we should be very careful about using many of the special ‘baby’ products, or even the aqueous creams and oils previously thought to be safe. They may be milder and fine for mature skin, but the effect on developing skin of newborn babies could lead to a reaction and even developing long term effects such as eczema. But it is not just the chemicals in bath time products and moisturising creams that can damage the skin of newborn babies. The wrong choice of fabric worn next to baby’s delicate skin can also irritate the skin. For decades, wearing man-made fabrics like nylon and polyester has been discouraged and cotton clothing has been promoted as the fabric of choice to be worn next to the skin, especially if it was irritated or inflamed. However there has also been further international research carried out which shows that that cotton isn’t actually the best fabric. Cotton fibres are short and can still irritate sensitive skin, but more importantly cotton doesn’t absorb excess moisture on the skin. The research has shown that biofunctional clothing made from medical grade silk dramatically reduces inflammation and itching in patients suffering with eczema. This is because the silk fibres don’t irritate the skin, absorb excess moisture and wick it away so it keeps the skin at the right humidity. 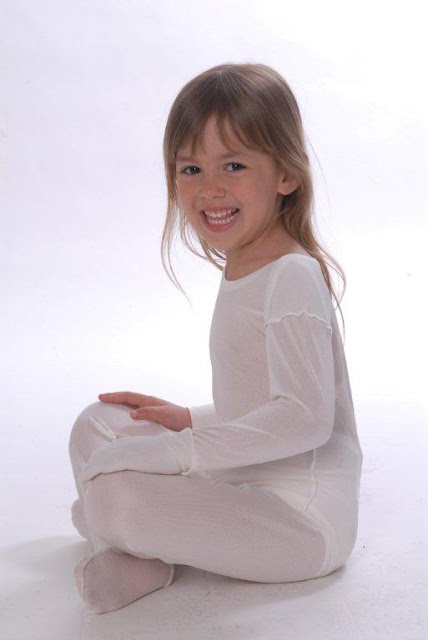 So effective is it, that it’s approved by the NHS as a Class 1 medical device and Dermatology departments in the UK have been prescribing DermaSilk Clothing to help control eczema in babies and children as well as adults. So when we have a new addition to our families, we need to take special care with their delicate skin. Don’t use modern chemical based products that can damage baby’s skin, after all, plain water with a little simple soap should suffice. Avoid man-made artificial fabrics and even cotton garments as these can also aggravate the skin. With care, you never know. We may even can get back to the good old days, and reverse the growing incidence of infant eczema.